TEHRAN (Tasnim) – The Monastery of Saint Thaddeus is a tourist destination in the far northwest corner of Iran, adjacent to the borders of Armenia. Alternatively known as Qareh Klise (meaning black church), the property presents important vestiges of Armenian culture in the region. Together with St. Stepanos Monastery and the Chapel of Dzordzor, Qareh Klise was placed on the UNESCO World Heritage list in 2008 under the name “Armenian Monastic Ensembles of Iran”. All the three sites are located in West Azarbaijan Province and are of high significance from both historical and cultural perspectives. They bear credible testimony to interchanges with the ancient regional societies in particular the Byzantine, Orthodox and Persian. UNESCO experts say these edifices are examples of outstanding universal value of the Armenian architectural and decorative traditions. Narratives say Qareh Klise was built as a memorial to Judas Thaddeus, who traveled to Mesopotamia and Persia as one of the Twelve Apostles of Jesus. Splendid outside, yet quite plain indoor, the monastery shows off elaborate bas-reliefs of flowers, animals and human figures on its façade and exterior walls. It bears verses of Old and New Testament in Armenian calligraphy as well. The church has largely been underwent stages of renovation projects, notably following an earthquake in 1319 CE, and later in the early 19th century upon the order of Qajar prince Abbas Mirza. St. Thaddeus has always been a place of high spiritual value for Christians and other inhabitants in the region. Every summer, it hosts gatherings of pilgrims coming from Iran and Armenia to observe special religious ceremonies such as Holy Communion and baptism. I’m sure tourist will now flock to the Islamic Republic of Iran to visit a remote Christian church?? As long as the church is not in Armenia proper it’s as good as lost forever. 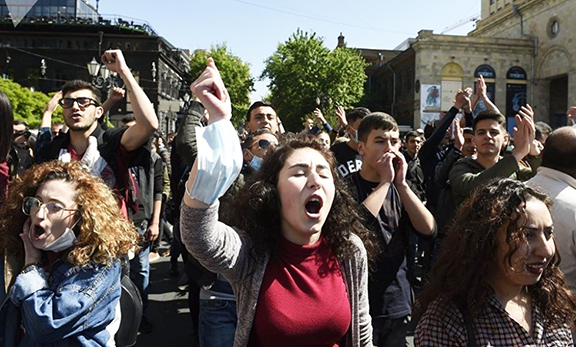 Irredentist idealism of Greater Armenia doesn’t carry much water in that part of the world.